The contest is dedicated to the 100th anniversary of the Financial University under the Government of the Russian Federation. The aim of the contest is to support gifted foreign students studying in Russia. 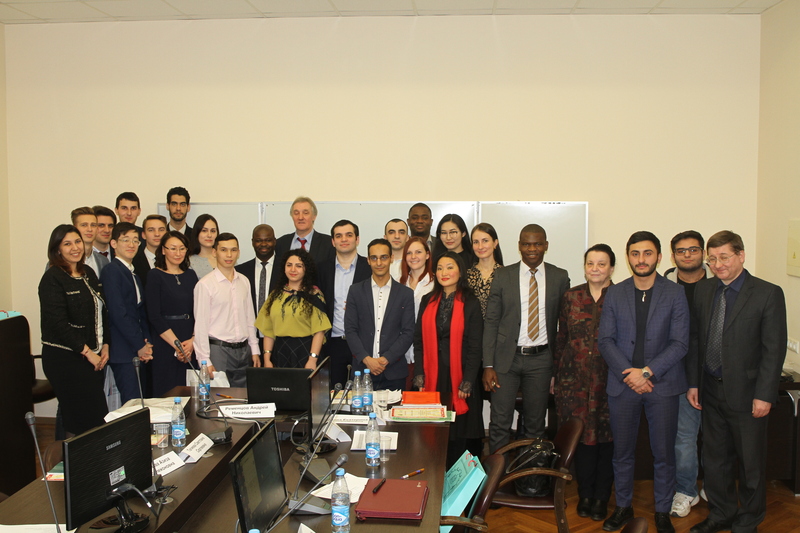 The jury consisted of representatives of Plekhanov Russian University of Economics, the Association of International Students in Russia, and the Financial University under the Government of the Russian Federation. The experts of economics, jurisprudence, traveling, social science, and information technology evaluated the participants' project works. Eighteen foreign students made it into the finals. According to the results of the contest, the jury announced nine winners in three categories. Besides, some remarkable works were awarded in several nominated categories. A USUE master’s student Eric Avanesyan (Ukraine) won in this contest. A USUE bachelor’s student Ahmed Enany (Egypt) was named the best in the nomination and awarded the diploma "For Creative Approach." Our congratulations to the winners! We wish you further success in scientific activities!